Numerous physical processes are described by transport PDE-ODE cascades. LTI systems with constant input delays is perhaps the most elementary class in this category, where the transport speed is constant and the boundary of the spatial domain is fixed, besides the plant being linear. For this class of systems, predictor feedback is now a well-known delay-compensating control design tool. The situation becomes dramatically more complex when, in addition to the ODE being nonlinear, the speed of propagation or the boundary of the domain is a nonlinear function of the overall infinite-dimensional state (i.e., of the PDE or the ODE state) of the system. For such cascades, I will present predictor-feedback design ideas, which I will then illustrate with several application examples, including, traffic systems, extruders for 3D printing (giving rise to a system with ODE state-dependent moving boundary), metal rolling (where the transport speed is a nonlinear function of the ODE state), and production systems (where the propagation speed is a nonlinear function of the PDE state). I will also present some key conceptual ideas for analysis, including the study of a somewhat non-standard stability notion, namely, of string stability, in traffic with ACC-equipped vehicles. 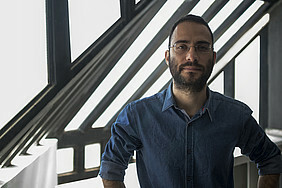 Nikolaos Bekiaris-Liberis received the Ph.D. degree in Aerospace Engineering from the University of California, San Diego, in 2013. From 2013 to 2014 he was a postdoctoral researcher at the University of California, Berkeley and from 2014 to 2017 he was a research associate at Technical University of Crete, Greece. Dr. Bekiaris-Liberis is currently a Marie Sklodowska-Curie Fellow at the Dynamic Systems & Simulation Laboratory, Technical University of Crete. He has coauthored the SIAM book Nonlinear Control under Nonconstant Delays. His interests are in delay systems, distributed parameter systems, nonlinear control, and their applications.